Okay, so I don’t normally blog about some of the giveaways that I find, even though I tend to enter quite a few, but this one I have to. 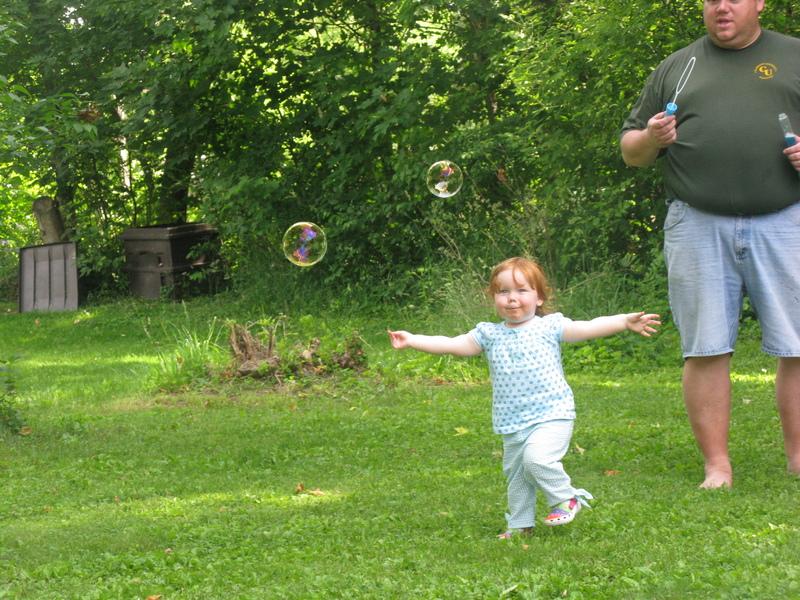 As you can see from Lia’s picture having us blow or make the bubbles with the big wand and then them chasing them and trying to pop them is one of their FAVORITE things to do. Well today I was looking through different posts and I was directed to Rebecca Cooper’s blog called Simple As That and on there is an opportunity to win the Gazillion Bubbles Bubble Machines by Funrise Toys. So I entered to win there and am blogging about it for another chance. Previous Post Where is the year going? Next Post I CAN do this….